There has been no shortage of devices and apps unveiled this week with the CES convention in full effect. WallWizard is at the show to introduce their new motorized HDTV wall mounts that can be controlled using an iPhone or iPad. Using a $10 ControlWand iOS app, and a $158.98 USB WiFi/Bluetooth peripheral, you can adjust the viewing angle from a slick in-app controller or the wave of their hand while in Gyro Mode. shown in the image above. The different motorized mounts themselves will sell from $149 to $399 when they finally hit the market. 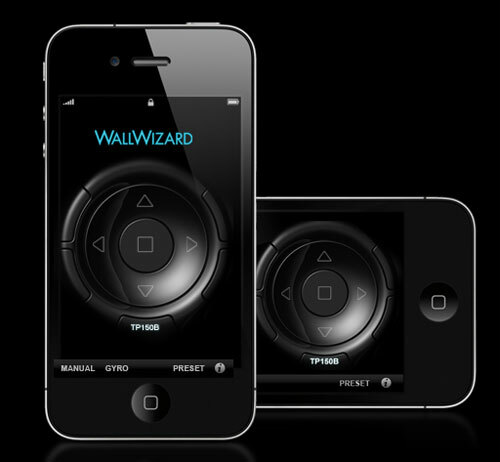 As the name suggests, ControlWand app is truly a magical iOs app.